Linkin Park hosted a tribute concert in honor of their late bandmate, Chester Bennington, at the Hollywood Bowl on October 27, and official video of the full event is available online. Streamed live by hennemusic, the tribute saw appearances by members of Avenged Sevenfold, Bring Me The Horizon, Blink-182, Alanis Morissette, Bush, Korn, No Doubt, Steve Aoki, Sum 41, Echosmith, Machine Gun Kelly and System Of A Down, among others. "I don't have the words," said Mike Shinoda as he greeted the sold-out crowd, reports Rolling Stone. "I don't think any of us do." Just three songs into the evening, Linkin Park delivered an instrumental version of their 2004 US Top 15 hit, “Numb”, with an empty microphone stand at center stage while the crowd of more than 17,000 sang along in place of Bennington, who committed suicide at his Los Angeles area home on July 20 the age of 41. Midway into the concert, Shinoda described the moment he learned of his singing partner's death, and he shared a solo version of new song "Looking For An Answer", which he said was written just eight days later. The evening built to a dramatic and raucous finale of Linkin Park’s 2007 classic, “Bleed It Out”, with all of the evening’s guests returning to help the group close out the tribute event. 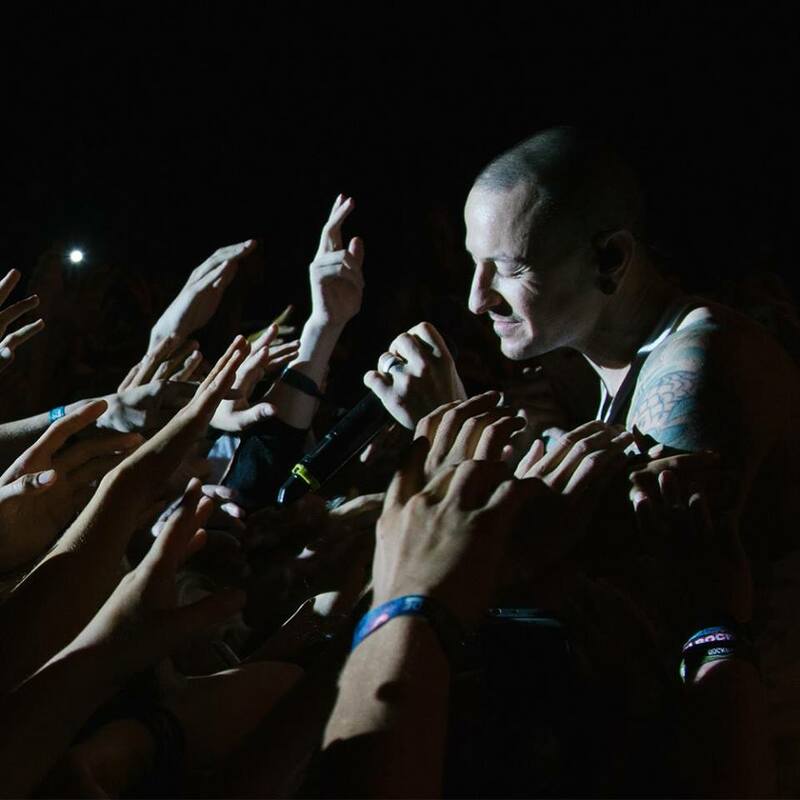 Linkin Park are asking fans to donate to their One More Light Fund in memory of Bennington as they work to bring attention to the issue of mental health. “Thank you to everyone for being a part of our show in honor of Chester at the Hollywood Bowl,” shared the group on their social media sites.